Definitely the worst circumstances to make a card. I lost a dear customer this past week. I know she would love the colors. Taking a piece for Neenah solar white 80lb cardstock and MFT Desert Bouquet stamp set I stamped the different flowers in Tropical Teal, Spearmint, Wild Wisteria, and Blue Raspberry to make my background. I took MFT'S stitched square frame and cut this piece and a piece of wild wisteria. 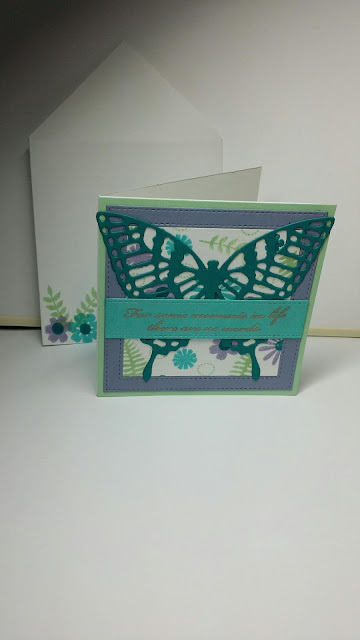 I used Stampin' ups Butterfly thinlet and cut it out of tropical teal. I cut a piece of spearmint 4 1/4 x 4 1/4 . 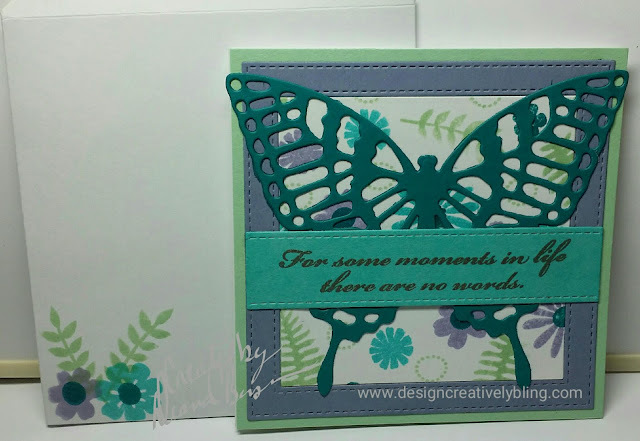 Then I embossed my sentiment in Ranger liquid platinum on a piece of blue raspberry cardsrock. I assembled my card by mounting the piece of spearment to the base then centered tge wild wisteria frame on it. I used the center floural piece, from cutting the square frame, in the center of the frame. Then I mounted the butterfly and the sentiment panel. I stamped my inside sentiment in tropical teal. I made and envelope out of white card stock and stamped some of the flowers on it. beautiful use of those colors! 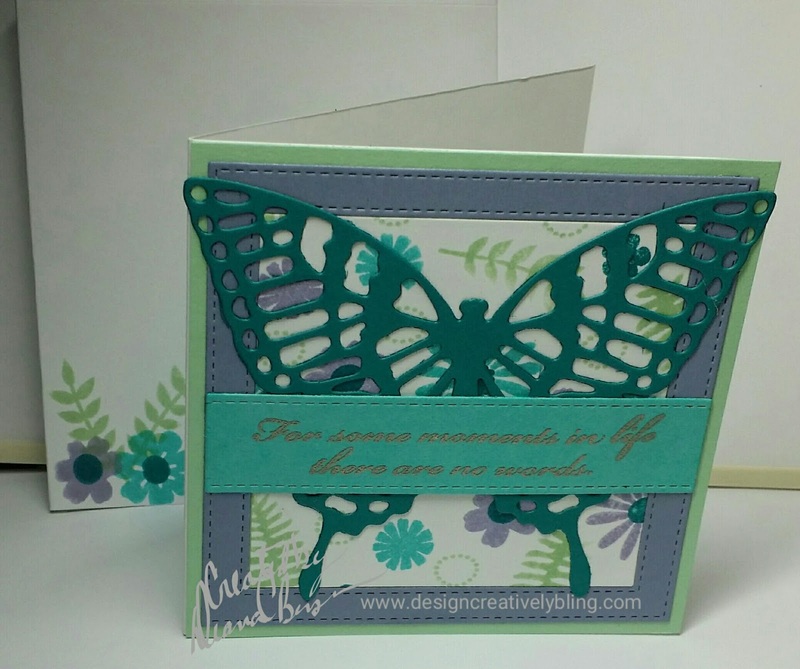 such a pretty card, Deana! thanks so much for playing along with MFT Color Challenge! What a pretty take on the sketch! I love that you decorated the envelope too! Thanks for playing along at MFT!